275 homes sold in Sevier County during January and February of 2019. 276 homes sold during January and February of 2018. Average price has increased by 24% and is up by $54,000. Available Inventory is down 15%, but Volume up by 24%. 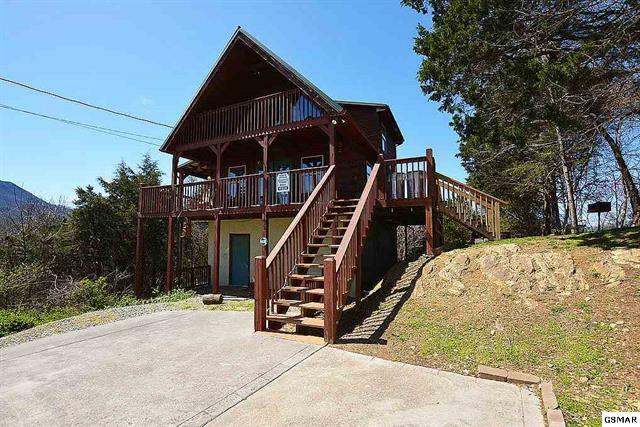 39 homes sold in Gatlinburg during January and February of 2019. 56 homes sold during January and February of 2018. Sales are down by 30%. Average price has increased by 43% and is up by $85,000. Available Inventory is down 26%, and Volume down by 1%. 56 homes sold in Pigeon Forge during January and February of 2019. 53 homes sold during January and February of 2018. Average price has increased by 49% and is up by $119,000. Available Inventory is down 23%, and Volume up by 57%. 84 homes sold in Sevierville during January and February of 2019. 78 homes sold during January and February of 2018. Average price is flat to last year. Available Inventory is down 11%, and Volume up 8%. 16 homes sold in Wears Valley during January and February of 2019. 15 homes sold during January and February of 2018. Average price has increased by 13% and is up by $54,000. Available Inventory is down 26%, and Volume up 20%. 7 homes sold in Wears Valley during January and February of 2019. 7 homes sold during January and February of 2018. Sales are flat to last year. Average price has increased by 43% and is up by $72,000. Available Inventory is up 4%, and Volume up 43%. 89 lots sold in Sevier County during January and February of 2019. 85 lots sold during January and February of 2018. Sales are up by 5%. Average price has increased by 10% and is up by $5,000. Available Inventory is down 12%, but Volume up by 16%. 23 lots sold in Gatlinburg during January and February of 2019. 11 lots sold during January and February of 2018. Sales are up by 92%. Average price has decreased by 17% and is down by $8,000.. Available Inventory is up 3%, and Volume up by 59%. 9 lots sold in Chalet Village during January and February of 2019. 10 lots sold during January and February of 2018. Available Inventory is down 33%, and Volume down 14%. 14 lots sold in Pigeon Forge during January and February of 2019. 6 lots sold during January and February of 2018. Average price has decreased by 60% and is down by $35,000.. Available Inventory is down 20%, and Volume down by 7%. 2061 homes sold in Sevier County from January to December in 2018. 2177 homes sold in 2017. Average price has increased by 10% and is up by $24,000. Available Inventory is down 11%, but Volume up by 4%. Check out the average price over the last half of the year! 344 homes sold in Gatlinburg from January to December in 2018. 306 homes sold in 2017. Sales are up by 12%. Average price has increased by 12% and is up by $26,000. Available Inventory is down 2%, and Volume up by 25%. 389 homes sold in Pigeon Forge from January to December in 2018. 395 homes sold in 2017. Average price has increased by 16% and is up by $40,000. Available Inventory is down 17%, and Volume up by 15%. 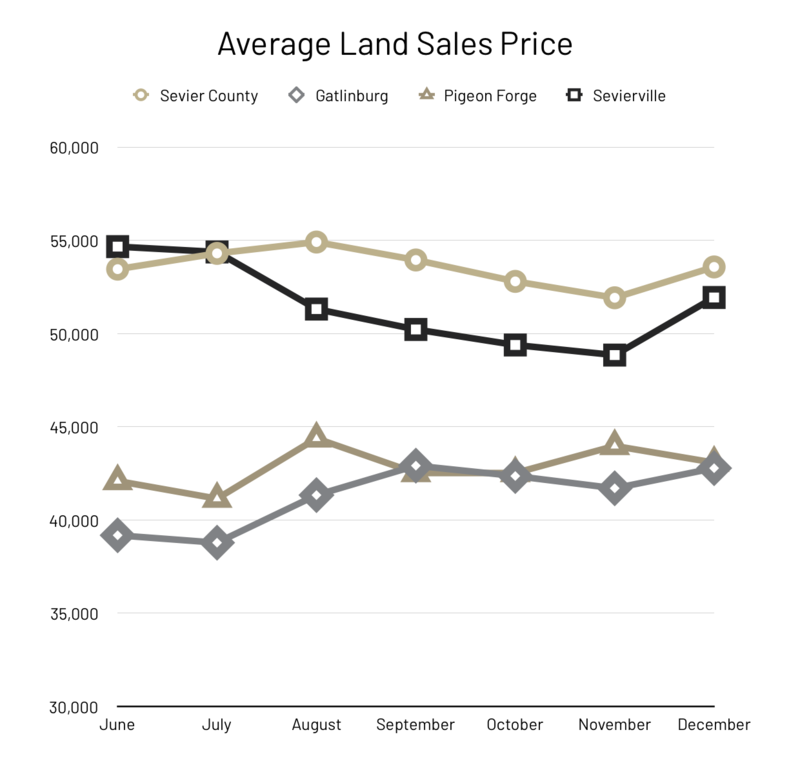 606 homes sold in Sevierville from January to December in 2018. 641 homes sold in 2017. Average price has increased by 13% and is up by $28,000. Available Inventory is down 13%, and Volume up by 7%. 59 homes sold on Douglas Lake from January to December in 2018. 64 homes sold in 2017. Average price has increased by 6%, and is up by $17,000. Available Inventory is down 9%, and Volume down by 2%. 139 homes sold in Wears Valley from January to December in 2018. 177 homes sold in 2017. Average price has increased by 11% and is up by $31,000. Available Inventory is down 23%, and Volume down by 1%. 557 lots sold in Sevier County from January to December in 2018. 540 lots sold in 2017. Sales are up by 3%. Average price has decreased by 14% and is down by $8,000. Available Inventory is down 3%, and Volume down by 11%. 108 lots sold in Gatlinburg from January to December in 2018. 119 lots sold in 2017. Average price has increased by 4% and is up by $1,000. Available Inventory is up by 7%, and Volume down by 5%. 41 lots sold in Chalet Village from January to December in 2018. 35 lots sold in 2017. Average price has increased by 6% and is up by $2,000. Available Inventory is up by 5%, and Volume up by 25%. 58 lots sold in Pigeon Forge from January to December in 2018. 49 lots sold in 2017. Average price has decreased by 80% and is down by $171,000. *Miller Way was closed for $6M+ in December of 2017 and is an outlier to this data. Available Inventory is down 2%, and Volume down by 76%. 128 lots sold in Sevierville from January to December in 2018. Available Inventory is down by 1%, and Volume up by 8%. 27 lots sold on Douglas Lake from January to December in 2018. 18 lots sold in 2017. Average price has increased by 74% and is up by $48,000. Available Inventory is up 1%, and Volume up by 161%. 51 lots sold in Wears Valley from January to December in 2018. 61 lots sold in 2017. Average price has increased by 49% and is up by $23,000. You can find previous Market Reports here. 1945 homes sold in Sevier County from January to November in 2018. 2016 homes sold in 2017. Average price has increased by 11% and is up by $26,000. Average price is $258,661.Available Inventory is down 11%, but Volume up by 8%. Check out the average price growth over the last few months! 324 homes sold in Gatlinburg from January to November in 2018. 280 homes sold in 2017. Sales are up by 16%. Average price has increased by 13% and is up by $30,000. Available Inventory is down 3%, and Volume up by 31%. 370 homes sold in Pigeon Forge from January to November in 2018. 371 homes sold in 2017. Average price has increased by 18% and is up by $43,000. Available Inventory is down 16%, and Volume up by 15%. 574 homes sold in Sevierville from January to November in 2018. 588 homes sold in 2017. Average price has increased by 17% and is up by $37,000. Available Inventory is down 13%, and Volume up by 14%. 58 homes sold on Douglas Lake from January to November in 2018. 61 homes sold in 2017. Average price has increased by 6%, and is up by $19,000. Available Inventory is down 11%, and Volume up by 1%. 130 homes sold in Wears Valley from January to November in 2018. 161 homes sold in 2017. Average price has increased by 10% and is up by $28,000. Available Inventory is down 23%, and Volume down by 11%. 149 homes sold in Seymour from January to November in 2018. 150 homes sold in 2017. Sales are down by 1%. Average price has increased by 8% and is up by $15,000. 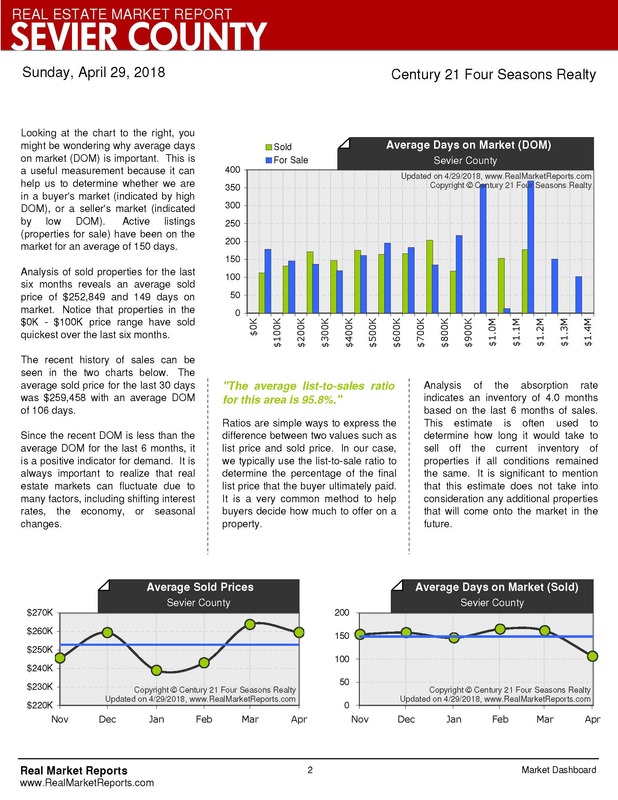 If you liked the Sevier County Market Report for November 2018 check out the previous months here. 499 lots sold in Sevier County from January to November in 2018. 492 lots sold in 2017. Sales are up by 1%. Average price has increased by 9% and is up by $4,000. Available Inventory is down 2%, and Volume up by 11%. 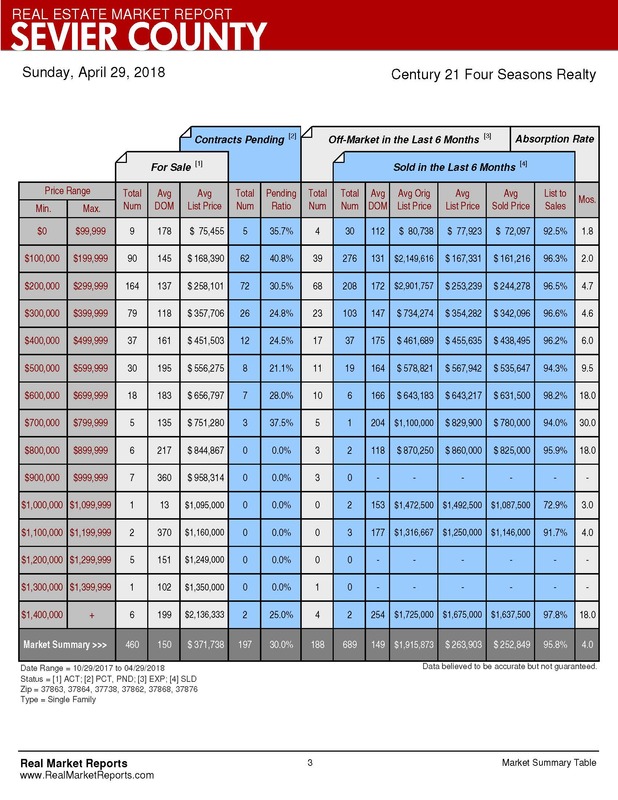 95 lots sold in Gatlinburg from January to November in 2018. 113 lots sold in 2017. Average price has increased by 9% and is up by $3,000. Available Inventory is up by 8%, and Volume down by 9%. 37 lots sold in Chalet Village from January to November in 2018. 32 lots sold in 2017. Available Inventory is up by 8%, and Volume up by 23%. 56 lots sold in Pigeon Forge from January to November in 2018. 41 lots sold in 2017. Average price has decreased by 43% and is down by $33,000. Available Inventory is down 2%, and Volume down by 22%. 111 lots sold in Sevierville from January to November in 2018. 106 lots sold in 2017. Average price has decreased by 3% and is down by $2,000. Available Inventory is down by 1%, and Volume up by 1%. 26 lots sold on Douglas Lake from January to November in 2018. 15 lots sold in 2017. Average price has increased by 90% and is up by $55,000. Available Inventory is up 1%, but Volume up by 229%. 49 lots sold in Wears Valley from January to November in 2018. 58 lots sold in 2017. Average price has increased by 37% and is up by $18,000. 1772 homes sold in Sevier County from January to October in 2018. 1858 homes sold in 2017. Available Inventory is down 12%, but Volume up by 6%. 291 homes sold in Gatlinburg from January to October in 2018. 262 homes sold in 2017. Sales are up by 11%. Available Inventory is down 2%, and Volume up by 30%. 333 homes sold in Pigeon Forge from January to October in 2018. 340 homes sold in 2017. Available Inventory is down 18%, and Volume up by 15%. 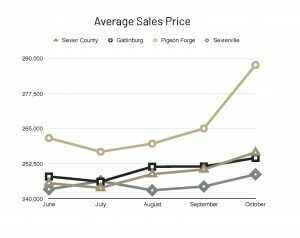 529 homes sold in Sevierville from January to October in 2018. 540 homes sold in 2017. Average price has increased by 15% and is up by $33,000. Available Inventory is down 14%, and Volume up by 13%. 51 homes sold on Douglas Lake from January to October in 2018. 56 homes sold in 2017. Available Inventory is down 11%, and Volume down by 9%. 121 homes sold in Wears Valley from January to October in 2018. Average price has increased by 8% and is up by $23,000. Available Inventory is down 21%, and Volume down by 13%. 139 homes sold in Seymour from January to October in 2018. 135 homes sold in 2017. Average price has increased by 7% and is up by $13,000. If you liked the Sevier County Market Report for October 2018 check out the previous months here. Below you will find the Sevier County Market Report for September 2018. 1516 homes sold in Sevier County from January to September in 2018. 1808 homes sold in 2017. Average price has increased by 9% and is up by $21,000. Available Inventory is down 19%, but Volume only down by 8%. 253 homes sold in Gatlinburg from January to September in 2018. Sales are down by 3%. Average price has increased by 16% and is up by $34,000. Available Inventory is down 10%, and Volume up by 12%. 284 homes sold in Pigeon Forge from January to September in 2018. 311 homes sold in 2017. Available Inventory is down 23%, and Volume down by 3%. 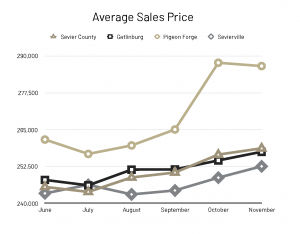 452 homes sold in Sevierville from January to September in 2018. 521 homes sold in 2017. Average price has increased by 14% and is up by $29,000. Available Inventory is down 20%, but Volume down by only 2%. 49 homes sold in Sevierville from January to September in 2018. Average price has decreased by 4% and is down by $10,000. Available Inventory is down 13%, and Volume down by 16%. 101 homes sold in Wears Valley from January to September in 2018. Average price has increased by 8% and is up by $21,000. Available Inventory is down 29%, and Volume down by 28%. 129 homes sold in Seymour from January to September in 2018. 179 homes sold in 2017. 365 lots sold in Sevier County from January to September in 2018. 398 lots sold in 2017. Sales are down by 8%. Average price has increased by 12% and is up by $4,000. Available Inventory is down 7%, and Volume up by 3%. 69 lots sold in Gatlinburg from January to September in 2018. 103 lots sold in 2017. Available Inventory is down by 2%, and Volume down by 25%. 28 lots sold in Chalet Village from January to September in 2018. 29 lots sold in 2017. Average price has increased by 26% and is up by $11,000. Available Inventory is up by 7%, and Volume up by 22%. 51 lots sold in Pigeon Forge from January to September in 2018. 37 lots sold in 2017. Average price has decreased by 29% and is down by $17,000. Available Inventory is down 4%, and Volume down by 2%. 84 lots sold in Sevierville from January to September in 2018. 82 lots sold in 2017. Average price has increased by 16% and is up by $5,000. Available Inventory is down by 2%, and Volume up by 19%. 21 lots sold on Douglas Lake from January to September in 2018. 13 lots sold in 2017. Average price has increased by 65% and is up by $38,000. Available Inventory is down 1%, but Volume up by 166%. 29 lots sold in Wears Valley from January to September in 2018. 46 lots sold in 2017. Below you will find the Sevier County Market Report for August 2018. 1382 homes sold in Sevier County from January to August in 2018. 1619 homes sold in 2017. Average price has increased by 8% and is up by $19,000. Available Inventory is down 20%, but Volume only down by 7%. 241 homes sold in Gatlinburg from January to August in 2018. 238 homes sold in 2017. Available Inventory is down 10%, and Volume up by 17%. 260 homes sold in Pigeon Forge from January to August in 2018. 284 homes sold in 2017. Average price has increased by 11% and is up by $25,000. Available Inventory is down 26%, and Volume up by 1%. 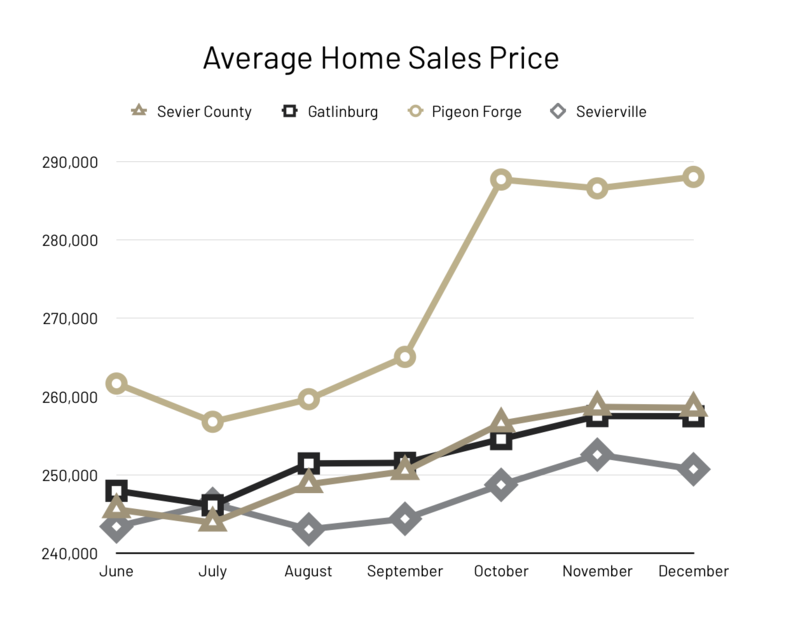 407 homes sold in Sevierville from January to August in 2018. 472 homes sold in 2017. Average price has increased by 12% and is up by $25,000. Available Inventory is down 21%, but Volume down by only 4%. 43 homes sold in Sevierville from January to August in 2018. 48 homes sold in 2017. Average price has decreased by 10% and is down by $31,000. Available Inventory is down 14%, and Volume down by 20%. 92 homes sold in Wears Valley from January to August in 2018. 138 homes sold in 2017. Average price has increased by 6% and is up by $16,000. Available Inventory is down 30%, and Volume down by the same. 112 homes sold in Seymour from January to August in 2018. 110 homes sold in 2017. Average price has increased by 6% and is up by $12,000. 323 lots sold in Sevier County from January to August in 2018. 364 lots sold in 2017. Sales are down by 11%. Average price has increased by 11% and is up by $4,000. Available Inventory is down 7%, and Volume down by 2%. 62 lots sold in Gatlinburg from January to August in 2018. 95 lots sold in 2017. Average price has increased by 7% and is up by $2000. Available Inventory is down by 1%, and Volume down by 30%. 27 lots sold in Chalet Village from January to August in 2018. 24 lots sold in 2017. Average price has increased by 46% and is up by $17,000. Available Inventory is up by 6%, and Volume up by 64%. 48 lots sold in Pigeon Forge from January to August in 2018. Average price has decreased by 26% and is down by $15,000. Available Inventory is down 4%, and Volume down by the same. 75 lots sold in Sevierville from January to August in 2018. 72 lots sold in 2017. Available Inventory is up by 1%, and Volume up by 14%. 16 lots sold on Douglas Lake from January to August in 2018. Average price has increased by 74% and is up by $44,000. Available Inventory is down 3%, but Volume up by 115%. 24 lots sold in Wears Valley from January to August in 2018. Available Inventory is down 17%, and Volume down by 36%. Check out previous Market Reports here. 1164 homes sold in Sevier County from January to July of 2018. 1452 homes sold in 2017. Average price has increased by 7% and is up by $15,000. Available Inventory is down 24%, but Volume only down by 14%. 206 homes sold in Gatlinburg from January to July of 2018. 219 homes sold in 2017. Available Inventory is down 12%, and Volume up by 6%. 224 homes sold in Pigeon Forge from January to July of 2018. 251 homes sold in 2017. Available Inventory is down 28%, but Volume only down by 1%. 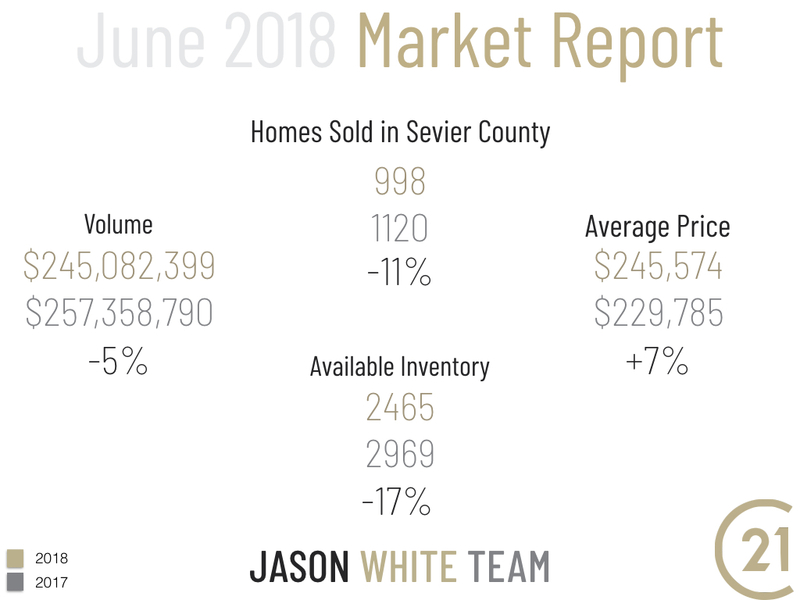 341 homes sold in Sevierville from January to July of 2018. 425 homes sold in 2017. Average price has increased by 10% and is up by $22,000. Available Inventory is down 25%, but Volume down by only 12%. 29 homes sold in Sevierville from January to July of 2018. 43 homes sold in 2017. Average price has decreased by 18% and is down by $54,000. Available Inventory is down 19%, and Volume down by 45%. 72 homes sold in Wears Valley from January to July of 2018. 123 homes sold in 2017. Average price has increased by 9% and is up by $23,000. Available Inventory is down 39%, and Volume down by 36%. 98 homes sold in Seymour from January to July of 2018. 100 homes sold in 2017. Average price has increased by 3% and is up by $6,000. 279 lots sold in Sevier County from January to July of 2018. 275 lots sold in 2017. Average price has increased by 14% and is up by $5,000. Available Inventory is down 4%, and Volume up by 16%. 55 lots sold in Gatlinburg from January to July of 2018. 70 lots sold in 2017. Average price has decreased by 3% and is down by $1100. Available Inventory is up by 2%, and Volume down by 24%. 21 lots sold in Chalet Village from January to July of 2018. 20 lots sold in 2017. Average price has increased by 27% and is up by $10,000. Available Inventory is up by 7%, and Volume up by 33%. 45 lots sold in Pigeon Forge from January to July of 2018. 31 lots sold in 2017. Average price has increased by 8% and is up by $3,000. Available Inventory is flat, and Volume up by 57%. 62 lots sold in Sevierville from January to July of 2018. 56 lots sold in 2017. Average price has increased by 26% and is up by $8,000. Available Inventory is up by 6%, and Volume up by 39%. 14 lots sold on Douglas Lake from January to July of 2018. 10 lots sold in 2017. Average price has increased by 66% and is up by $32,000. Available Inventory is down 7%, but Volume up by 133%. 21 lots sold in Wears Valley from January to July of 2018. 23 lots sold in 2017. Average price has increased by 13% and is up by $5,000. Available Inventory is down 11%, and Volume up by 3%. 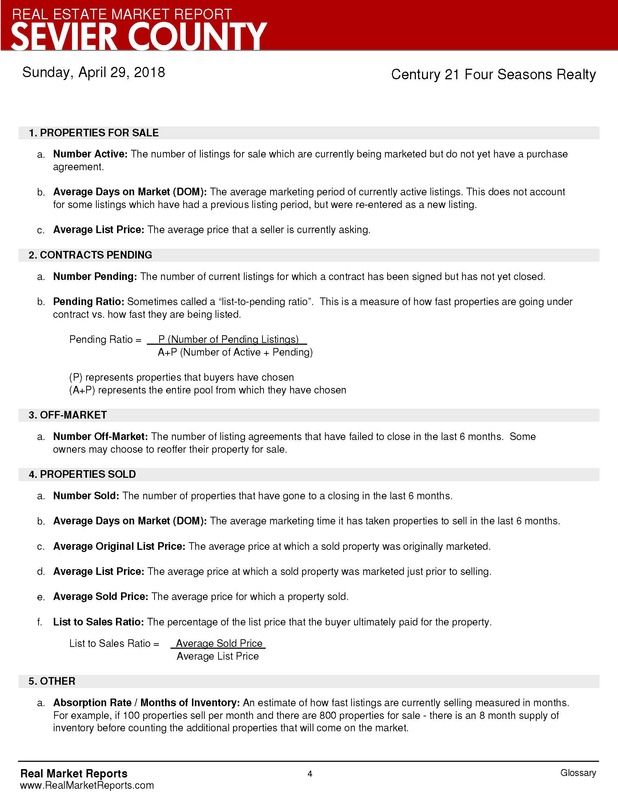 To locate a market report for a prior period click here. Drop a comment below if you found this information helpful, or if you have any suggestions! 998 homes sold in Sevier County from January to June of 2018. 1120 homes sold in 2017. Sales are down 11%. Average price has increase by 7% and is up by $15,000. Average price is $245,574. Available Inventory is down 17%, but Volume only down by 5%. 177 homes sold in Gatlinburg from January to June of 2018. 169 homes sold in 2017. Sales are up 5%. Average price has increase by 10% and is up by $22,000. Average price is $247,943. Available Inventory is down 1%, but Volume up by 15%. 192 homes sold in Pigeon Forge from January to June of 2018. 206 homes sold in 2017. Sales are down 7%. Average price has increase by 9% and is up by $20,000. Average price is $261,637. Available Inventory is down 23%, but Volume up by 1%. 301 homes sold in Sevierville from January to June of 2018. 328 homes sold in 2017. Sales are down 8%. Average price has increase by 11% and is up by $24,000. Average price is $243,382. Available Inventory is down 18%, but Volume up by 2%. 61 homes sold in Wears Valley from January to June of 2018. 83 homes sold in 2017. Sales are down 27%. Average price has increase by 10% and is up by $27,000. Average price is $291,193. Available Inventory is down 32%, and Volume down by 19%. 75 homes sold in Seymour from January to June of 2018. 74 homes sold in 2017. Sales are up 1%. Average price has increase by 10% and is up by $18,000. Average price is $211,113. Previous market reports can be found here. 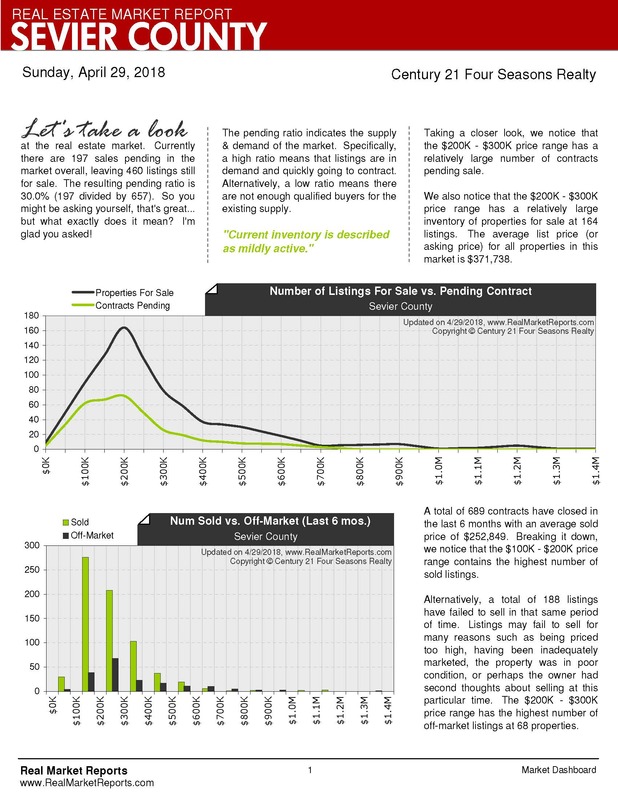 Drop a comment below if you enjoy having the statistical data from the Sevier County Market Report laid out in this easy to read fashion! 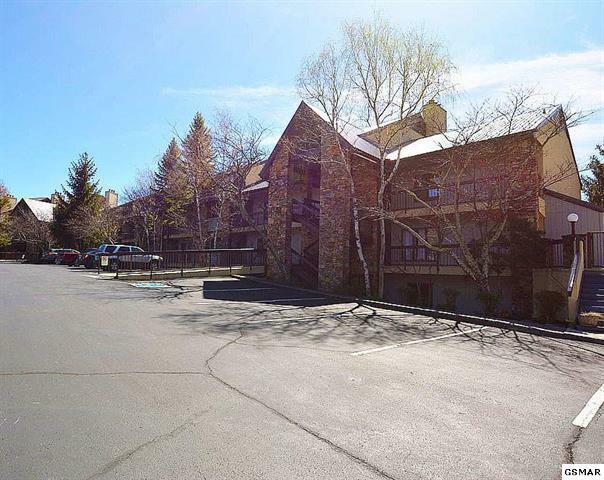 1130 Ski View Dr, Unit#113.